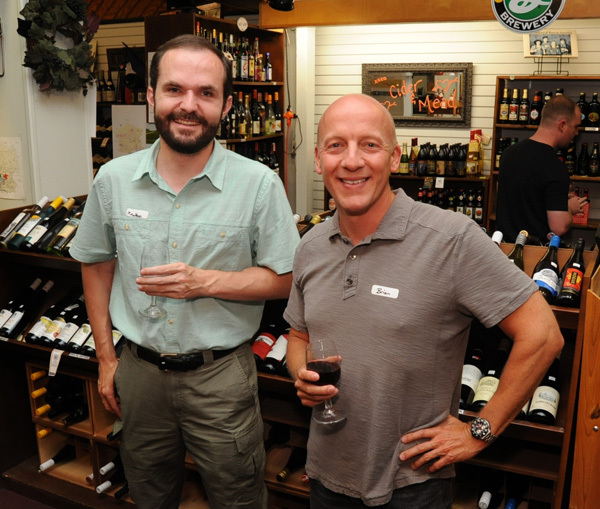 I hope everyone is enjoying the odd varietals, we have great fun with them. 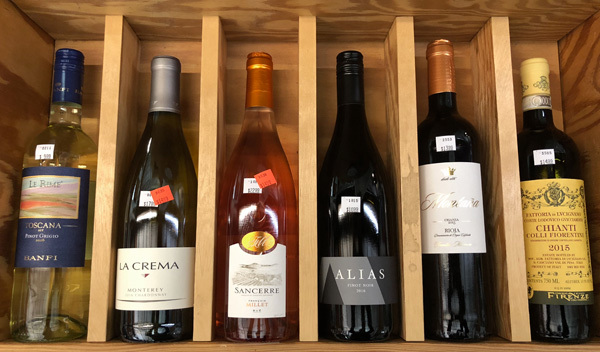 A customer came in yesterday, and was doing the Wine Century challenge with the goal of tasting at least 100 specific varietals. We’ve gotten her about half way there with some fairly obscure grapes, and will be trying to find the rest. This months red, a Pais, (aka “Mission”) wasn’t even on the list! This wine really tastes natural, bright, fresh, and clean with just a hint of sweetness. Crisp gala apple flavors and a touch of honey, maybe slightly under ripe pear. This will be delicious with greek yogurt, blended with a little honey and mixed with fruit. 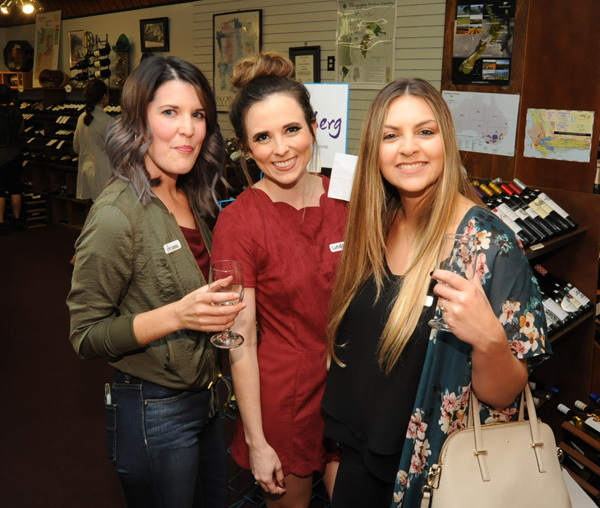 Now in the fourth generation of winemaking, the Bouchon family began their Chilean adventure when Emile Bouchon, in 1887, at the age of 22, was hired as a wine consultant for the Vigouroux Vineyard. Pais, (also known as “Mission”) was the first European grape varietal planted in the New World. It was brought by missionaries from Spain and was used to make sacramental wine. It’s hardy, loves hot and dry climates, and is resistant to drought. Eventually it was displaced throughout most of the Americas in favor of varietals considered more desirable. In Chile these vines grow up the trees and drape themselves over the foliage, requiring the pickers to use ladders during the harvest. The grapes used to make this wine are grown on vines that are an average of 120 years old. There is no oak used, all naturally occurring yeast, and the juice is unfiltered. I love translucent light garnet color of this wine in the glass. To my nose Salvaje smells and tastes a bit like an old-school pinot noir. It has the cleanliness and brightness of a lighter burgundy, spicy raspberry and cherry with a touch of barnyard and a hint of smoke to ground the wine and give it a delightful bit of complexity that lingers. It just keeps getting better and better! Ok I’m getting hungry now, time for lunch! Vouvray is usually associated with the semi-sweet wine made from Chenin Blanc grown there. 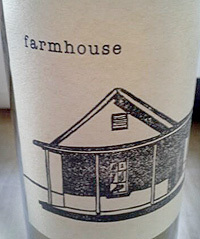 This wine is Chenin Blanc, but dry, and wonderfully delicious! Citrus, green melon, touch of almond, a hint of honey, minerals, and a great acidity that grounds the wine, yummy! Try it with the Green Hill cheese we have in the shop, Grilled Chicken, or spicy fish cakes. 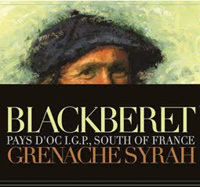 Only 600 cases of this wine were produced. At 10 years old this 2008 is drinking fabulously now. Don’t be afraid to decant the wine and let it get some air for an hour or so, but be sure to taste it when you open it so you can see how it evolves. 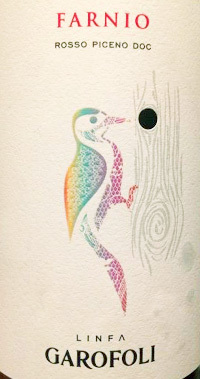 This wine will turn your lips purple! The syrah is a characteristic red varietal of the northern part of the Côtes du Rhône. 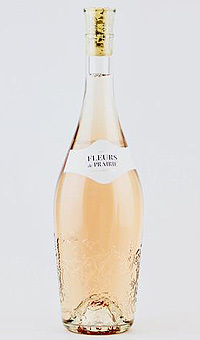 It gives to the wine its structure, its color and its aromas of small red berries, with a characteristic flavor of violet Rosé wines LES HAUTS PLATEAUX is of a salmon color, possessing great intensity on the nose (gooseberry), supple in texture, and easy to drink. Crisp passion fruit and lemon leaf with a whiff of white pepper on the nose. The same flavours make an immediate impact on the palate which is well-rounded and medium-bodied. Acidity is kept in check – with no tart spikiness apparent. 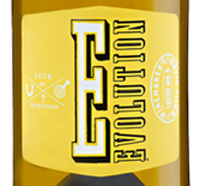 Smooth mouthfeel with just a hint of gravel and flinty flavour on its long zesty finish. 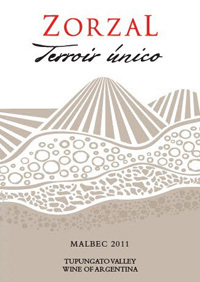 41% Palomino, 25% Muscat Canelli, 22% Roussane, 6% Marsanne, 5%Viognier, 1% Riesling. Emerald straw color. 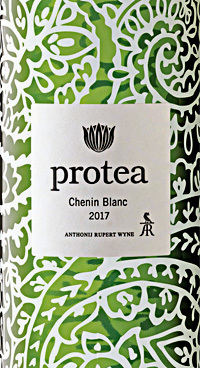 Toasty, earthy, tropical aromas and flavors of coconut yogurt and kiwi-papaya relish with a soft, fruity light body and a sleek, easy guanabana, melon rind, nutskin, and kaffir lime finish with fine, crunchy, fruit tannins and no oak. An interesting, exotically tropical white blend. 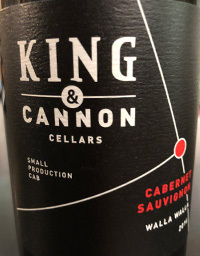 90% Cabernet Sauvignon, 10% Merlot Medium bodied with ripe plum, black currant, and blackberry flavors with a touch of mint. Cedar and dusty earth emerge on the long, layered finish. 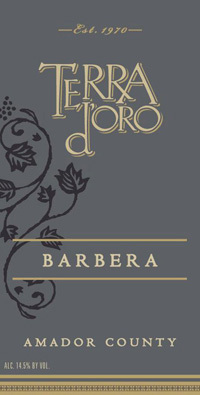 Terra d’Oro Barbera showcases the refreshing acidity of the grape with inviting aromas of sweet red fruit and fresh toasted bread. 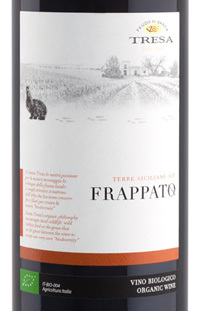 Enticing flavors of cherry cola and blueberries coat the palate, and polished tannins boast an elegant, round finish. 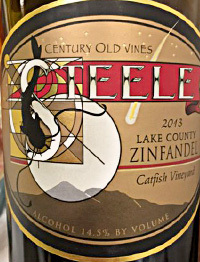 Catfish Vineyard was planted in 1901, the wine is a field blend of a number of varieties, including small amounts of carignan, alicante bouschet, cabernet sauvignon , petite sirah, and cinsault. Having more than one variety assured the old-time vintners that they would have some grapes to harvest regardless of the spring frosts or autumn storms. 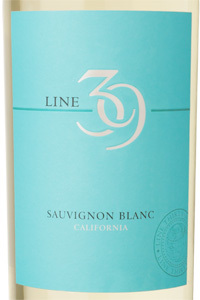 Enjoy this wine with Cioppino, pasta or red meat in a cream-based sauce. 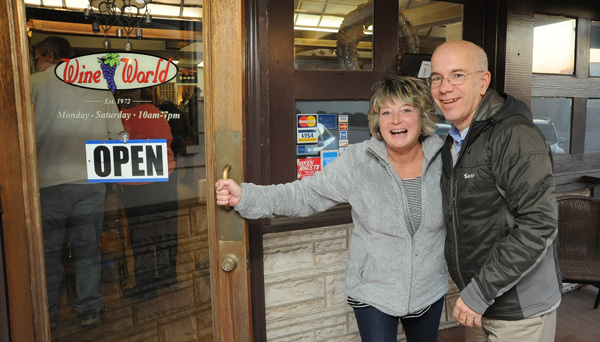 Grilled venison, spice-rubbed leg or rack of lamb, pizza with pesto and sausage. 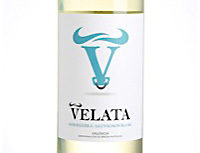 Pale straw in color, the wine offers impressive rich, ripe fruit aromas that hint of pear and white flowers. The wine is well balanced with an unusually lively acidity. 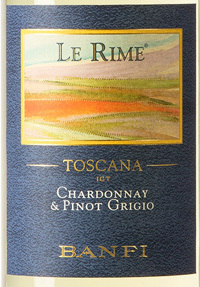 Le Rime takes its name from the lines that form on the sloping vineyard floor as water washes down the hillside, much as the ebb tide leaves its mark on the sandy beach. 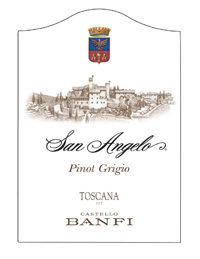 This Pinot Grigio catches that fresh minerality inherent to the terrain of southern Tuscany. 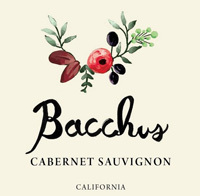 The exclusive use of free-run juice at fermentation, followed by cool temperature fermentation and early bottling, makes the wine brilliant, vibrant, and appealingly fresh. A splendid aperitif and a delightful complement to antipasto, pasta, and light meals. 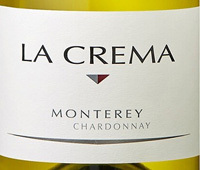 On the nose, the 2016 La Crema Monterey Chardonnay shows Meyer lemon, passionfruit, grilled pineapple and pie crust. 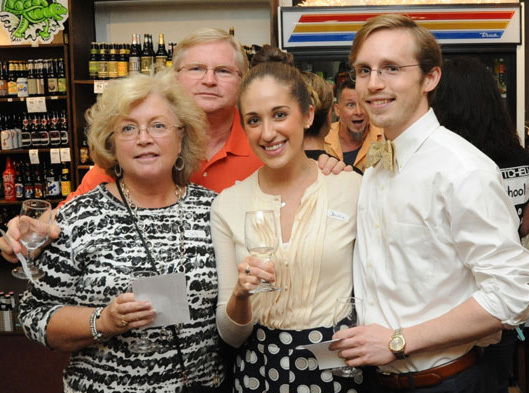 On the palate, nectarine, papaya and crisp lemon-tangerine notes are complemented by a touch of spice, complex minerality. Balanced acidity lingers on a long finish. quickly-seared flounder accented with a toss of al dente bean sprouts, Dungeness crab or pan-sautéed petrale sole, Manchego Cheese. 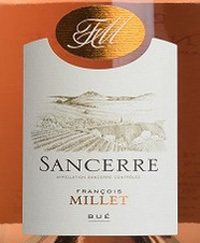 The Millet family’s history in Sancerre dates back to the 1930s. 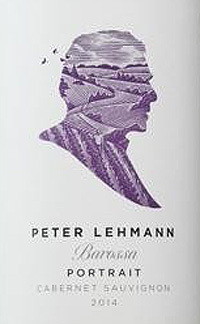 This Pinot Noir-based wine, the most serious of the rosés that the family produces, is a ripe strawberry-flavored wine with a tangy, bitter-cherry edge. Dusty ruby color. 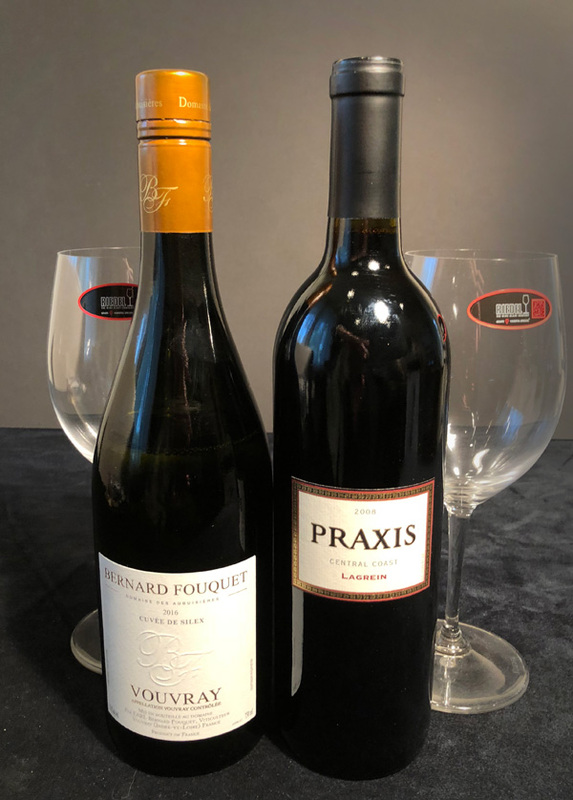 Mild aromas of cherry, roasted pepper, and putty with a silky, bright, dry-yet-fruity light-to-medium body and a brisk blood orange and whole nuts finish with papery tannins and light oak. A carefree table wine. A rather impressive wine for the price. Sourcing from mostly the Mendecino region as well as Sonoma. 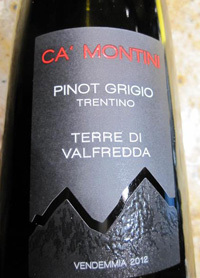 This wine offers ripe and pretty pinot fruit with great balance and freshness. This is a perfect wine to enjoy on its own, and can also pair with any chicken or pork dish, and just about anything else. 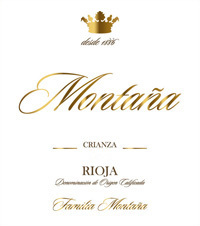 Spice and leather complement the deep blackberry fruit and ferrous minerality of Rioja’s red soils. Mouth-filling yet fresh, with the structure for improving in the bottle for a number of years. Medium intensity ruby red. 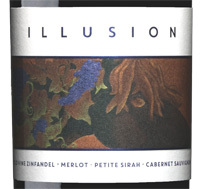 The nose on this wine is intense, overflowing with fruity aromas of black cherry and violets. 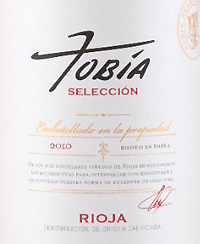 Soft and medium bodied on the palate it balances rather present tannins with moderate acidity. An ideal accompaniment to pasta dishes, medium aged cheese. 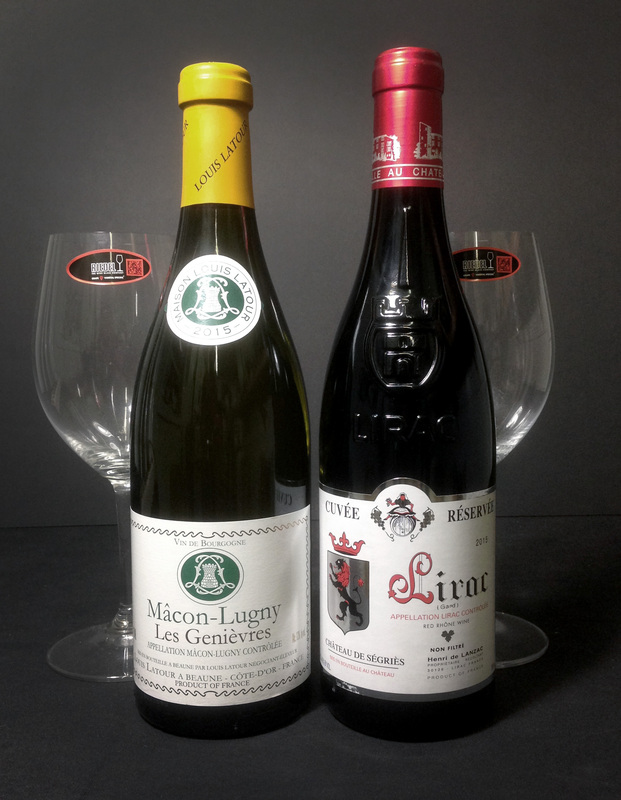 We have a pair of French wines this month both from somewhat iconic producers, enjoy! 2015 is known to be a stellar vintage in Burgundy, particularly for the reds. We tasted several burgundy’s with a representative for LaTour just recently and agreed this “little” white Burgundy was very yummy and a spectacular bargain. 100% Chardonnay (as is true of most white Burgundy) and unoaked. I wouldn’t look to age this wine for a long period, drink it with pleasure within the next 3 or 4 years. “The village of Lugny is located high up in the South of the Mâcon region. 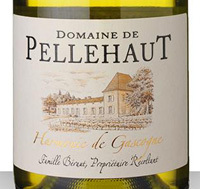 It has a great reputation for its white wines which has made Mâcon famous. It is well known that the village of Lugny, with its limestone soils and warm climate, produces the most coveted white wines of the region. 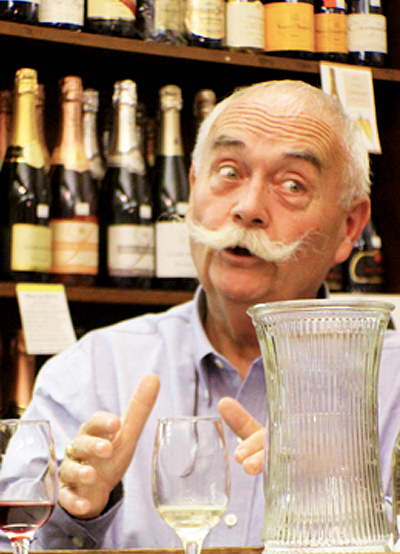 The vineyard of « Les Genièvres » is one of the best. Maison Louis Latour selects the best grapes of this village, which thanks to its terroir, was the only village planted with Chardonnay 30 years ago. Mâcon-Lugny “Les Genièvres” is crisp and yet still typically honeyed. 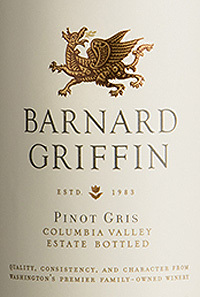 The nose unveils aromas of lemon and green orchard fruit with notes of honeycomb. 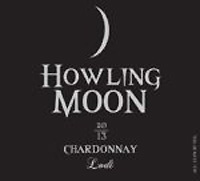 A clean dry, yet quite rich wine full of light lemon citrus and orchard fruits with nutty notes, it has an elegant smoothness with balanced fresh acidity and a lingering dry-almost honeyed finish. A good value quality white Burgundy that is drinking well now. 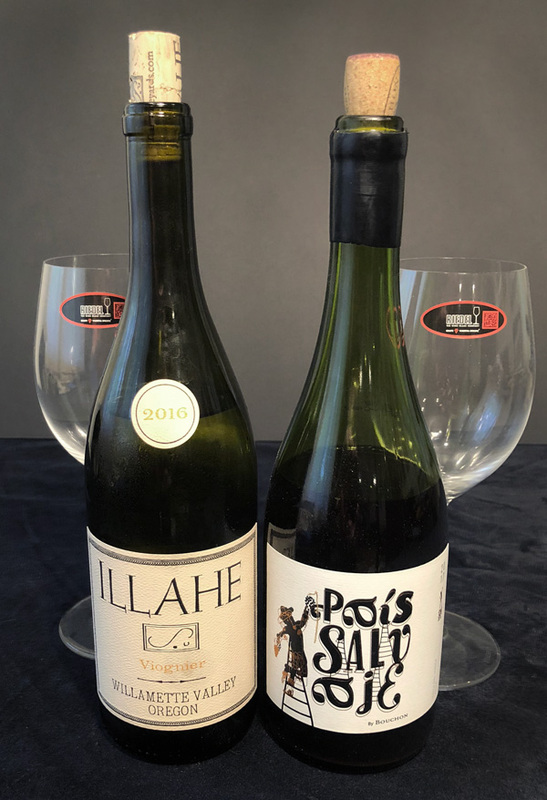 We’re big fans of wines from the Rhone Valley, they tend to be extremely adaptable for pairing with food, and tend to age remarkably well. I had a simple Guigal Cotes Du Rhone from 1995 last night and it was fabulous! This wine comes from Lirac, an appelation just across the river from Chateneuf Du Pape. 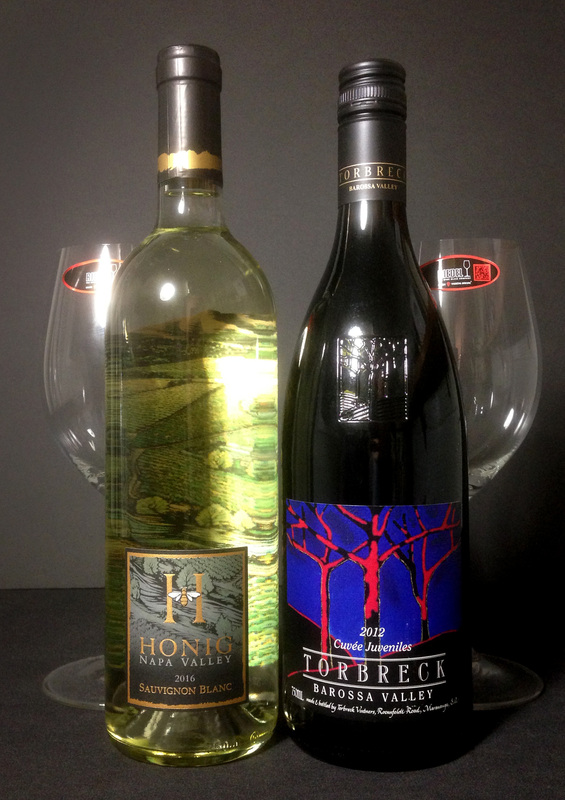 These grapes are from 80 year old vines and harvested by hand, and have no oak treatment. Pairs well with Stews, Grilled meats, Game, Various cheeses, or almost anything else you’d drink a red wine with! 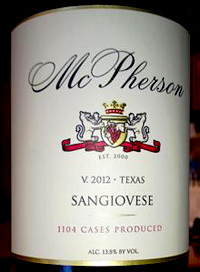 The Wine Advocate gave this wine 92pts.